Jess gets crafty: The UK Hyperbolic coral reef is back! 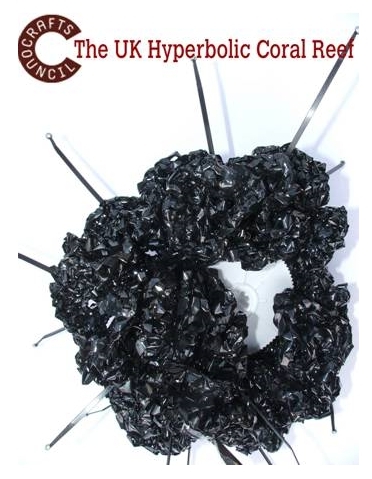 The UK Hyperbolic coral reef is back! 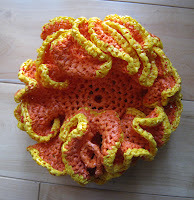 Back in March 2008 myself and my sister went along to a workshop in London to teach people about the Hyperbolic coral reef and how to do hyperbolic crochet. Back then it was the first I had heard about the project so I went along not really knowing what to expect. 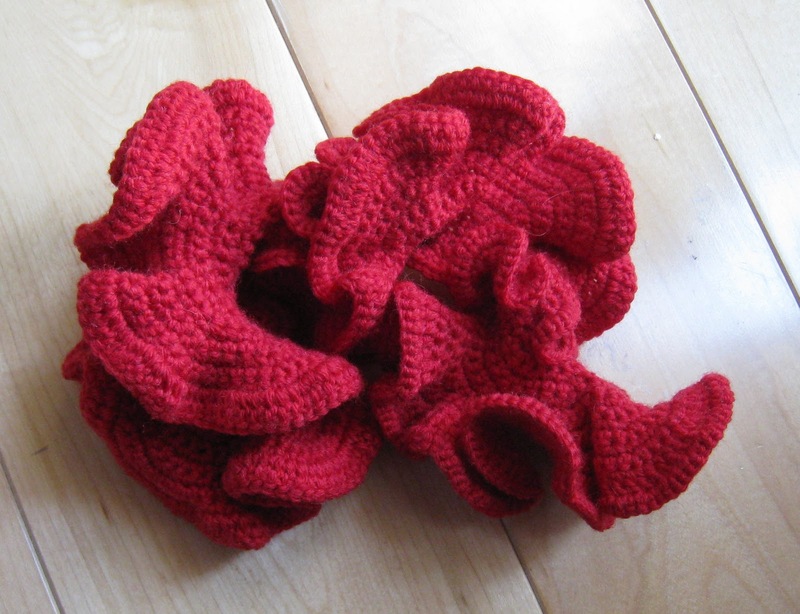 I discovered that the project had been set up to heighten awareness of the damage being done to coral reefs around the world that were being 'bleached' by the rise in water temperatures due to global warming. People all over the world had been contributing something called 'hyperbolic crochet' which were then made up into reefs which tour their country of origin to help raise awareness of this issue. 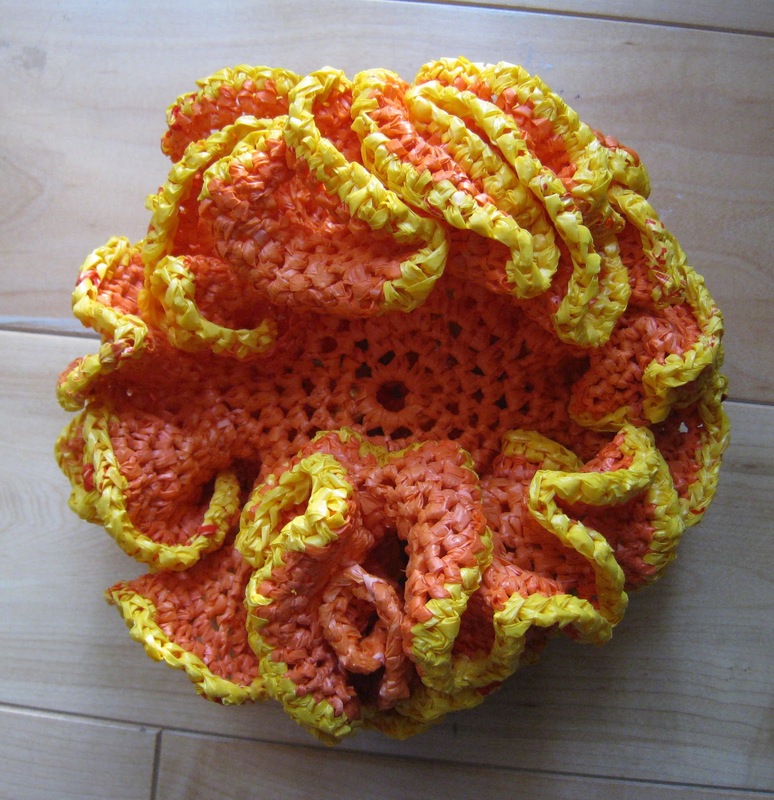 Well the UK reef is back and will be available to see at the Salisbury Arts Centre from 6 January - 26 February 2001 or if you too are keen to learn how to make these intriguing hyperbolic crochet pieces then you should try to get along to the centre for the workshop on Tuesday 7 December at 6pm. Send an email to info@salisburyartscentre.co.uk to find out more.